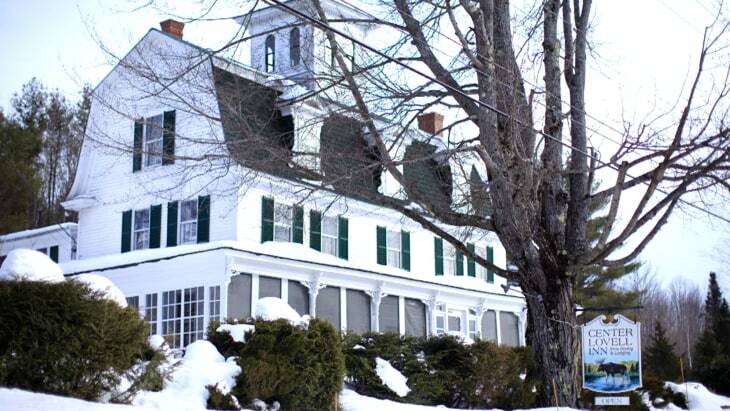 I saw on the news the other day that you can win a Bed and Breakfast in Maine by winning a essay contest that the owner is offering. Apparently she won the bed and breakfast in a essay contest herself 20 some odd years ago. Now she's ready to retire and wanting to pay it forward.....well you do have to send in a 125$ entry fee, so basically she is going to recoup the estimated $900,000 net worth of the house and grounds...But still it's a neat way to pass on a cherished B and B. I looked up her winning essay and it appears she basically wrote in 200 words or less, her qualifications for running a B and B. Hmmm I really thought it would have packed some kind of creative punch...but it really didn't.. And she won! I was going from the perspective: be creative, wow them with your ability to get a point across creatively...I think I'm going to have to rewrite it..LOL. Plus the essay can only be 200 words.. It's hard for me to convey my message in such a short essay. But I will have to try. A customer at work was so nice and gave me 60$, half of the entry fee, so I would have a head start.. I thought maybe it was a sign?? Maybe I really need to enter this. However I really don't have a interest in living in Maine?? SO ok why am I entering? Well the stipulation is you only have to run it as a Band B for a year, than you can do anything you want with it...A girl at work wants to go in with me...she's writing a essay too. Plus, she really has always wanted to have such a life, and run and B and B...so our plan is shes going to run it...and buy me out...Hell I'd take 250,000...smile.. Just enough to buy me and little land and build a nice house....ahhh...my dream come true!! Perhaps this is a opportunity to make that happen.